The Academy of the Impossible wants to combine education and community engagement. Executive Director Emily Pohl-Weary interviews MP Carolyn Bennett. Rabin Ramah saunters into the Academy of the Impossible as if he owns the place. In a way, he does, having curated its vibrant art, helped build the book shelves, and painted and assembled the stage. His hands-on approach echos the DIY ethos of the Academy, a new knowledge hub that encourages peer-to-peer learning, whether the topic is self-defense, improv comedy, creative writing, or how to make that perfect YouTube video. He was referring to author Emily Pohl-Weary and internet strategist Jesse Hirsh, the Academy of the Impossible’s Exective Director and Director, respectively. They co-founded the Academy in early January in a bid to create a space dedicated to grassroots knowledge-sharing. 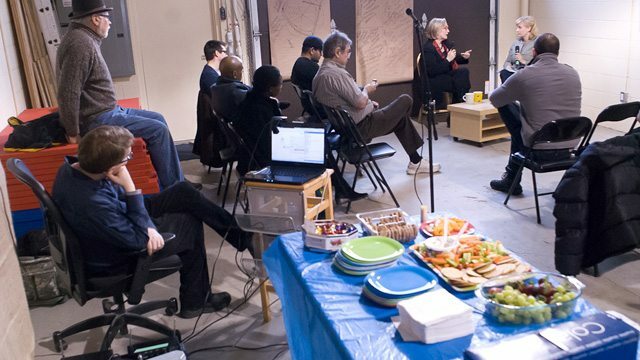 While Hirsh’s area of interest is technology, Pohl-Weary was looking for a home for the Toronto Street Writers, a writing workshop for youth. She’s worked with the group out of the Parkdale library since 2008. Located in an unassuming brick low-rise just north of Lansdowne and Bloor, the Academy’s location exemplifies the area’s wild mix of the industrial and the gentrified. Nearby are the offices of the gaming company Ubisoft, and also a factory that renders gelatin. The Academy’s open-concept space features a soaring metal ceiling and an ad-hoc assortment of couches, chalkboard dividers, and books on everything from African anarchism to Ontario ghost stories. 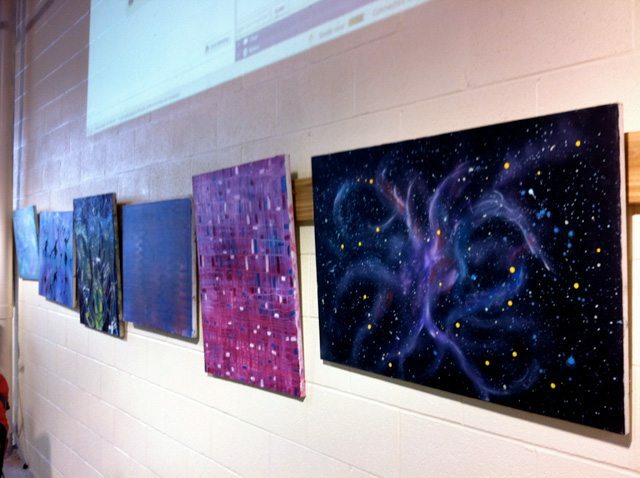 Art in the Academy of the Impossible's Junction Triangle headquarters. “It’s sort of an in-between space in a way,” said Pohl-Weary of the neighbourhood. The Academy is similarly finding its footing. It currently operates on a pay-what-you-can basis, though it has received seed funding from Hirsh’s think tank, Metaviews. Pohl-Weary’s programming is arts-focused. A “Story Jam” with Alligator Pie’s Dennis Lee last weekend drew thirty excited 4–6-year-olds. Hirsh’s tech focus has resulted in sessions on hacking, video games, and demonstrations of new tech products, though he cautioned that he is merely a student of the Academy—its true purpose is to serve the interests of those it attracts. 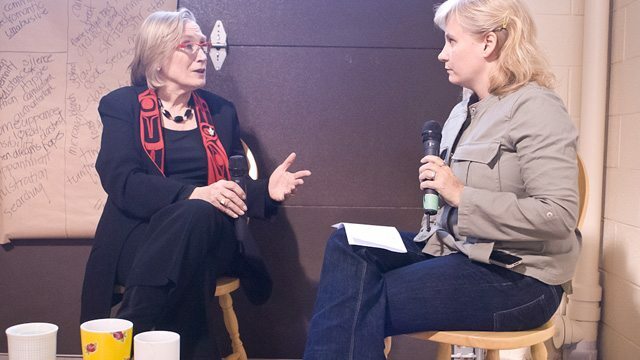 A session with MP Carolyn Bennett last Sunday was part of Campaign School, a program originally suggested by a young woman who wanted to run for city council, but didn’t know where to start. Pohl-Weary likens the Academy, with its open-source approach, to a real-life internet—one where people from different backgrounds and interests can share knowledge, connect, and get out of their respective bubbles. Campaign School with MP Carolyn Bennett. Faculty member and journalist Marc Weisblott takes this idea one step further. He sees the Academy as a cultural hub that will replace traditional spaces such as bookstores or video rental shops, without the hassle of having to move a tangible product. Pohl-Weary sees the Academy as part of a broader “maker culture,” which she defines as a DIY ethic that stresses taking the window instead of the front door.